The trial of Tashinga Musonza (29) was initially scheduled to start on January 28 before Bulawayo High Court judge Justice Thompson Mabhikwa, who was on circuit in Gweru. The matter was then remanded following an application made by the defence counsel to have the matter referred to the Constitutional Court. Musonza allegedly fatally assaulted Duve who was working for a local non-governmental organisation (NGO) accusing her of cheating on him with his colleague. It is the State’s case that on November 25, Musonza went to their lodgings at around 10PM and found Duve asleep. He allegedly accused her of cheating on him with his colleague. 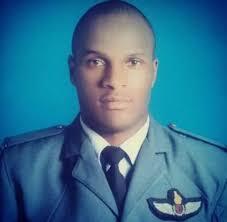 The two allegedly drove to the airbase since Musonza wanted the matter clarified. They allegedly woke up Duve’s alleged lover who denied being in a relationship with her. Musonza allegedly got furious and started assaulting his girlfriend. Upon their return they found Duve lying unconscious in a pool of blood. Musonza later drove Duve to Clay Bank Hospital in the company of two of his colleagues and another female who was said to be Duve’s friend.